Jan is an established yoga teacher and holistic therapist at the Natural Fitness Centre in Eastbourne where she provides a therapeutic approach to care with both personalised one to one yoga and classes. She works alongside a number of highly experienced teachers, therapists and practitioners and has recently set up practise as a Holistic Fertility Therapy Practitioner with a team of accomplished practitioners at White Willow in College Road, Eastbourne. Jan’s early career included training in aromatherapy massage at Britain’s renowned Champneys Health Spa in Tring where she worked in the areas of nutrition and massage therapy before setting up her own business. Her innate interest in health and wellbeing led to a career in Paediatric Nursing during her thirties which gave her the experience and confidence to work alongside doctors and other health professionals, gaining experience in conventional medical treatment for adults, babies and children. Jan began teaching Dru yoga in 2009 and spent a year in post graduate training in yoga therapy for back care. Her ongoing studies in nutritional healing have been inspired by her understanding and practise of Ayurveda which is considered the sister science to yoga and is one of the world’s oldest holistic healing systems. As a Registered BSY (British School of Yoga) Holistic Fertility Therapy Practitioner and Holistic Diagnosis Skills Practitioner, she offers a balanced perspective and the ability to advise clients which complementary therapies would be of most value and when medical intervention is necessary. 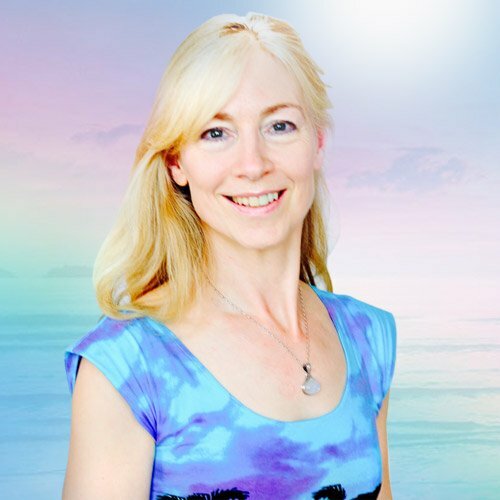 Jan’s life-long interests in nutrition, yoga, health and healing has lead to her many qualifications and broad experiences as a practitioner of Holistic Therapies over the last 35 years. She has spent this time studying the nature of the mind, body, spirit and emotions through dedicated training and research into the value of complementary therapy. Her ongoing studies in Spiritual Psychotherapy, sound, colour and other forms of energetic healing have inspired her to develop a deep understanding of how we can all create and experience both health (ease) and illness(dis-ease) in our lives. Her passion to introduce complementary therapies into the Paediatric Unit of St Mary’s Hospital, London gained her the respect and support of many of the doctors, senior nurses, Paediatric Consultants and members of the Multidisciplinary Team. As part of this work she received funding for training in homeopathy and support with publishing an article on the use of Aromatherapy for Hospitalised children with HIV. Through many years of continuing professional development, Jan has earned the ability to discern the appropriate use of both allopathic and complementary medicine. Having studied and worked with many expert teachers and practitioners over the years, Jan is now bringing together her knowledge and experience into the field of fertility as a BSY Registered Holistic Fertility Therapy Practitioner. Qualifying with eight straight distinctions demonstrates her passion and desire to help couples who are struggling to conceive by offering an approach and guidance which brings together the best of both conventional and complementary care. She is also continuing her work as a Holistic Therapist and Dru yoga teacher offering a range of treatments, classes, private sessions and retreats.